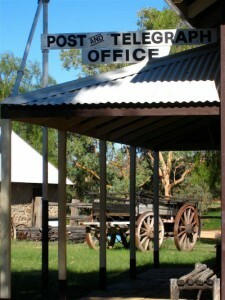 The Alice Springs Telegraph Station, established in 1872, was the first bridge of communication between Darwin and Adelaide and is the best persevered telegraph station along the 3,000 kilometre, 12-station line. The Station is part of the Telegraph Station Historical Reserve, a 1,000 acre National Park that gives visitors to Alice Springs a captivating insight into the first European contacts in the region. 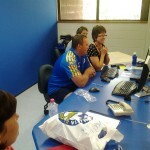 The Station was in operation until 1932, and has since has played an important role within the Alice Springs community. It has acted as a school and welfare home for Aboriginal children, a wartime army base and is now a historical attraction for visitors to Alice Springs. The Telegraph Station Reserve boasts over 1000 acres of walk trails and shady parkland equipped with amenities suitable for an enjoyable picnic or Barbeque. It’s close proximity to the original ‘Alice’ spring, (Thereyurre as named by the Arrernte people), a waterhole in the Todd River, makes the reserve a perfect destination for a relaxing day excursion from Alice Springs. The restored Telegraph Station and Reserve are open daily (except Christmas day) and offer guided tours of the building from April through October. ATG Downunder’s friendly staff are on hand to take care of all of your reservations and transport inquiries for this iconic attraction.